Almelo forms part of the Enschede-Hengelo-Almelo city triangle, the most important urban agglomeration in the east of the Netherlands. 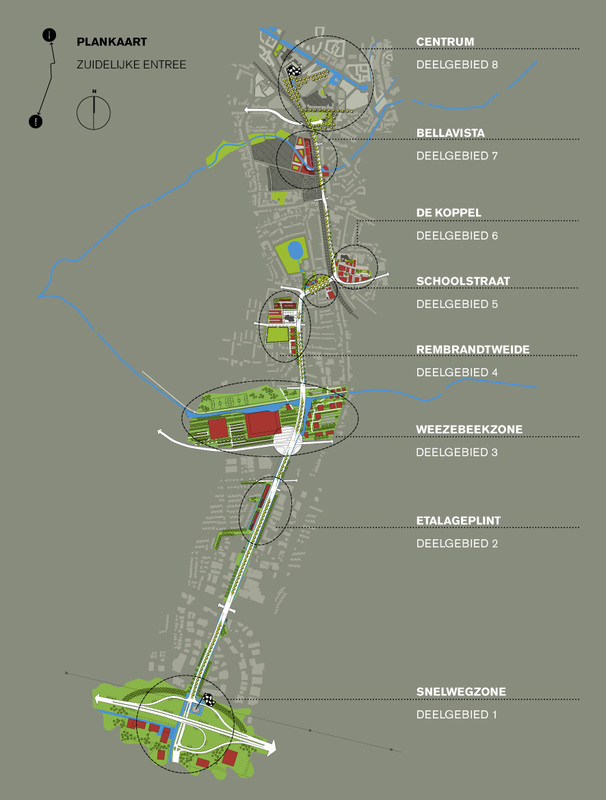 Almelo wants to become and remain a vibrant and liveable city, with space for sustainable development. 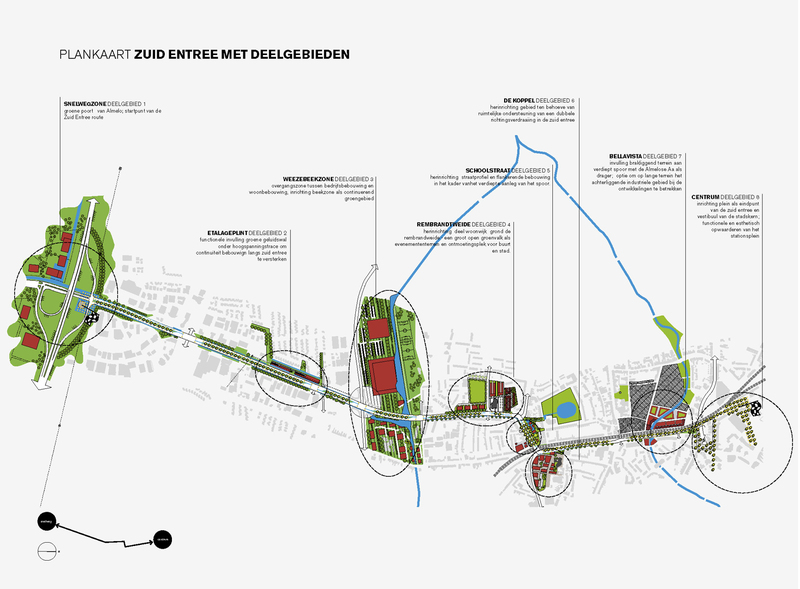 The qualitative improvement access route from the A35 to the very centre of Almelo, known as the South Entrance, offers an opportunity to strengthen the infrastructure and identity of the area. History, greenery and water can also acquire greater emphasis. 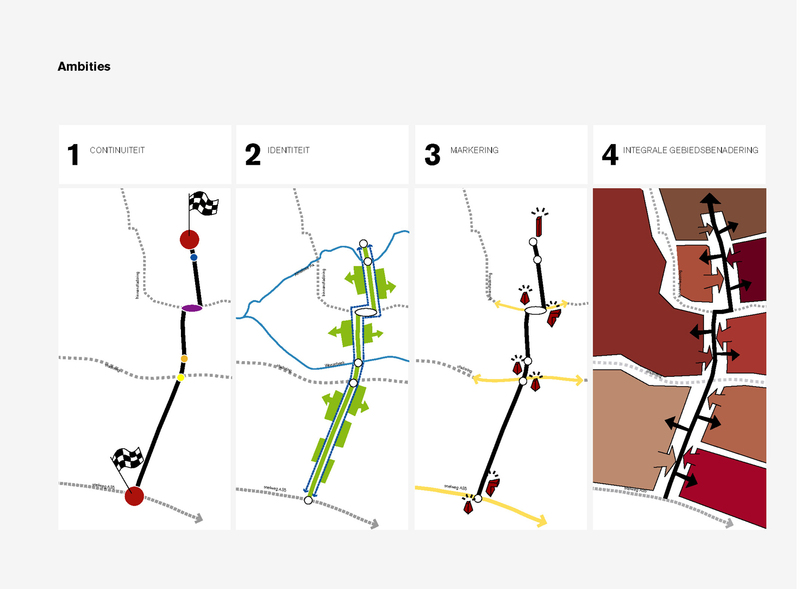 The route passes through various zones in the city, as well as a number of highly prominent intersections with important structural elements such as city rings, green zones and water elements, and the vacant sites to be developed. The ‘South Entrance’ design proposes one continuous road profile, from motorway to street. The primary aim is to enhance clarity along the route itself, expressed through a strong unity in roadsides, trees, lighting and street furniture. The green median strip forms the backbone of the South Entrance and links the various zones to form one coherent entity. Major intersections mark the transition to the next urban zone. Urban scenarios have been drawn up for the development locations to strengthen unity further in the future.